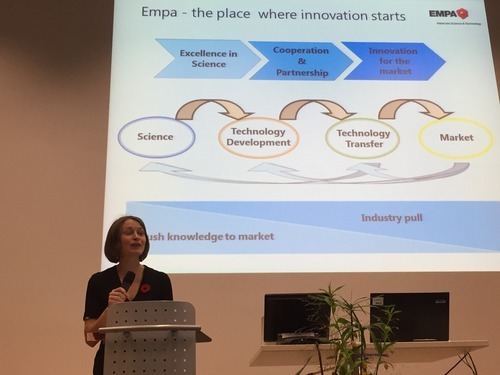 On October 27th, both Eawag/EMPA and the Universiy of Zurich hosted the first everNorth America Science Day, organized by the Swiss State Secretariat for Education Research and Innovation (SERI). This in collaboration with SERI’s swissnex offices in Boston and San Francisco, and with their Swiss Science Councillors in Ottawa and Washington D.C. 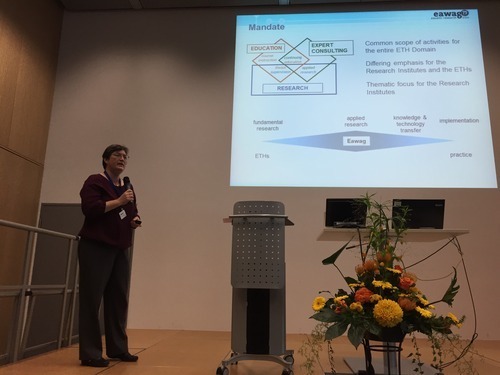 The NASD consisted of two events, held at Eawag/EMPA and at the University of Zürich’s Office for International Relations. Both NASD symposiums were a great success. 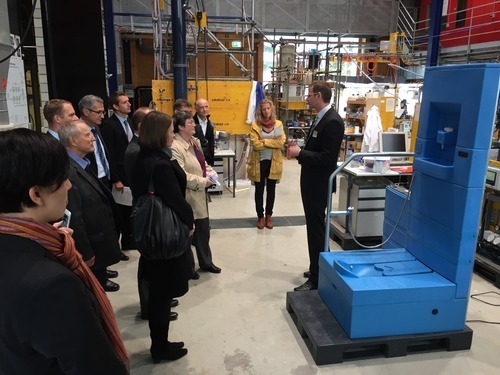 Aimed at providing information and in-depth knowledge on the Swiss Science Network in North America, the North America Science Day brought together top tier academics, researchers, students, entrepreneurs and political representatives. 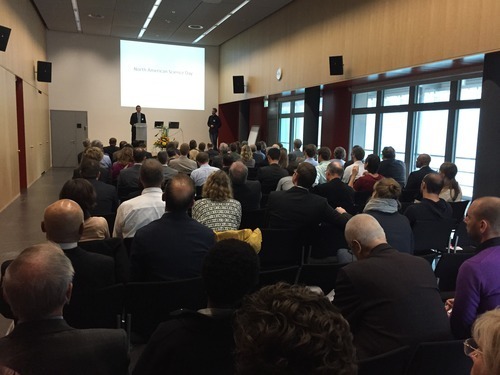 “This event was extremely valuable to introduce the Swiss Science network and put its wide range of activities on display during this engaging live format. After all, Switzerland is the #1 R&D investor to the U.S. and a strong collaborator with Canada,“ says Felix Moesner, CEO of swissnex Boston and initaiator of the North America Science Day. 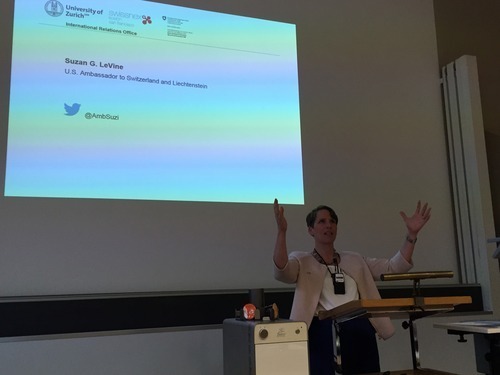 Both Jennifer MacIntyre, Canada’s Ambassador to Switzerland and Suzan G. LeVine, the US Ambassador in Berne, stressed the importance of international collaboration in the scientific world and the great potential for between North America and Switzerland. Real-life examples like Carlos Ruiz, CEO of Flatev (the Tortilla capsula Machine) who exemplifies a succesful participant of the startup programs at swissnex San Francisco, swissnex Boston and its outpost in New York, provided a great demonstration of how swissnex and the science councillors connect the dots of Switzerland and North America, and how they can be crucial in the development of a startup company. Further, the two North America Science (half-) Days provided a great opportunity for networking. 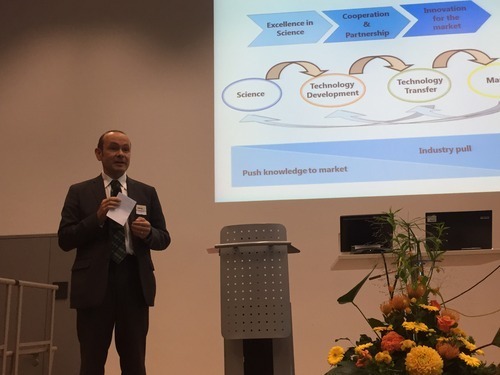 Based on the feedback, the series proved to be of great value for academics, researchers and entreprenurs alike to learn about the work and services provided by the Swiss science Network in North America, and the opportunities for collaboration with institutions in the U.S. and Canada.